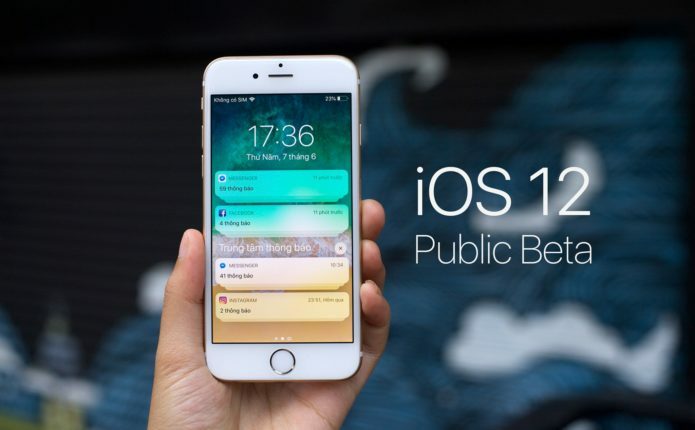 Apple’s release an early version of iOS 12 to developers and the general public. In this guide we’re going to walk prospective, and current, iOS 12 beta users through the most important things to know, right now, about Apple’s next operating system. In June, Apple confirmed iOS 11’s successor. The iOS 12 update is official and the company plans to launch it later this year alongside new iPhones and at least one new iPad Pro. Ahead of the official release date, Apple’s offering an iOS 12 beta. The beta gives iPhone, iPad, and iPod touch users a chance to stress test the software for bugs and use some of the update’s new featureswhich include Memoji, upgrades to Notifications, and tweaks to the popular Do Not Disturb mode. With interest in iOS 12 rising, we want to guide you through some essential things to know about the early version of iOS 12. For most of June, the iOS 12 beta was limited to those with an Apple developer account. An Apple developer account requires a yearly membership fee which means most people should try the iOS 12 beta via Apple’s Beta Software Program. As promised, Apple’s push the iOS 12 beta into its Beta Software Program. The Beta Software Program is a free service and requires an Apple ID and a little bit of patience. If you do decide to download the iOS 12 beta on a phone or tablet, here’s how long you can expect the download and installation to take. Those installing beta software for the first time can expect the entire process to take 30 minutes or more to complete. Unsurprisingly, the iOS 12 beta is causing problems for many beta testers. Apple’s acknowledged several issues it’s working on and beta testers have discovered a long list of additional bugs. Group FaceTime calls cannot be initiated between iOS 12 beta 3 and iOS 12 beta 1 users. Updating from iOS 10.2 and earlier to iOS 12 beta 2 via iTunes is not supported. If you do decide to try the iOS 12 beta on your phone or tablet, note that you will only be able to return to Apple’s iOS 11.4 update and nothing older. Apple’s stopped signing on iOS 11.3.1 and below which means you’re stuck with iOS 11.4 (and the company’s iOS 11.4.1 update) once you move your device to iOS 12 beta. The iOS 12 beta is going to stay in beta for several months. The iOS 12 release date lands sometime this fall, probably in September alongside the company’s new iPhone X models and 2018 iPad Pro. Jailbreak developers still haven’t released a public jailbreak for iOS 11.2, iOS 11.2.1, iOS 11.2.5, iOS 11.2.6, iOS 11.3, iOS 11.3.1, or iOS 11.4. The only way you can jailbreak a device running iOS 11 is if it’s running iOS 11.0-iOS 11.1.2. Unfortunately, there’s no way to downgrade to any of those versions.